When you own and manage your own business, your plate is pretty full with important tasks. From sending emails to talking to both potential and current clients to marketing your brand, you have a lot to do on a day-to-day basis. Fortunately, we live in a time when technology can make a lot of these tasks much easier to handle. So let’s take a look at a few ways you can use technology to manage and grow your personal business. First off, you need a great website. Having a good website can make managing your business easier because customers will be able to find what they’re looking for and people can learn more about your business without talking directly to you. Take advantage of a website creation platform for an easy way to create a well-designed site. Having a good website design is especially important with 96% of consumers saying design is the main reason they “trust” a site. From there, build your content and consider using SEO strategies to increase your chances of being shown in search engine results. With there being four billion searches on Google each and every day, it’s important to do what you can to make sure your site is seen by consumers. Next, you should have some sort of mobile device that allows you to stay connected to your business and customers wherever you are. Having something like a smartphone or a tablet can give you the means to handle important business matters whenever, wherever. And with there being 11 million meetings every day in the U.S., you can be using conference calls or video conferencing when you’re on the go. As a business owner, it’s important to be able to answer questions, talk with clients, and handle any issues quickly and efficiently. And having a mobile device that keeps you connected can help you do exactly that. And lastly, you can use things like apps, the cloud, and online systems to streamline all of your business processes. Whether it’s storing customer information, analyzing your social media views, or taking payments, almost everything can be done quicker and easier online. There are tons of tools available to business owners that can help you manage the stressful job of doing a million things at once. For example, if you store information in the cloud, you can have access to data no matter where you are and you don’t have to worry about keeping files locked in a filing cabinet. 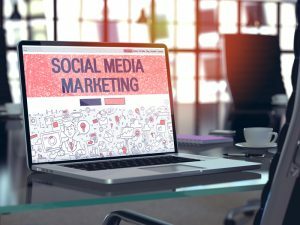 Or if you’re looking to analyze the success of your social media posts or a marketing campaign, you can have that automatically done for you. No matter what you need to get done, there’s an online tool that can help. Owning and running your own business is not an easy task. But by keeping these great tips in mind, you can make your job a little bit easier.